In Hong Kong, repairs—even on expensive cars—often happen curbside. In Hong Kong, repairs—even on expensive cars—often happen curbside. 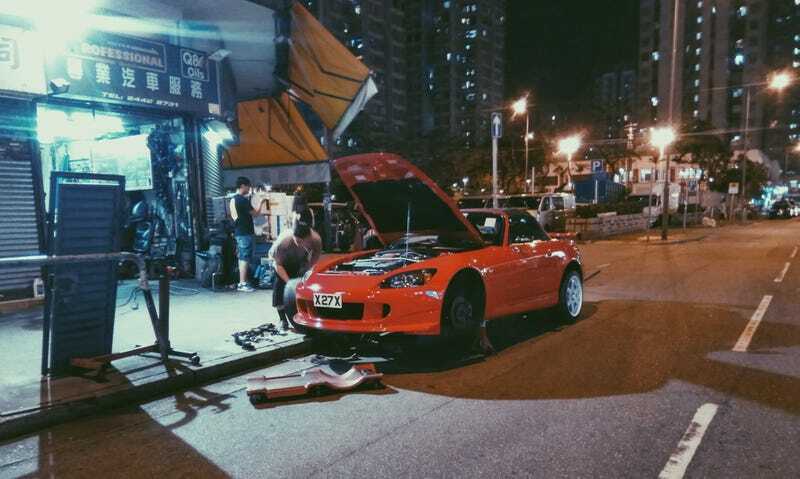 Here’s a mechanic in Yuen Long wrenching on a Honda S2000.